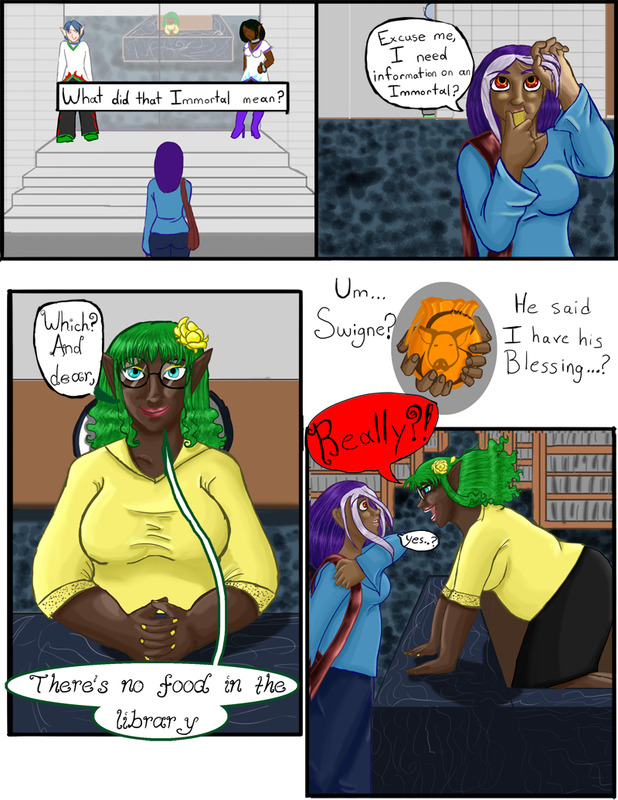 Chapter 01- Blessed - "Chapter 1 Page 7"
Wynn: What did that Immortal mean? Wynn: Excuse me, I need information on an Immortal? Libraran: Which? And dear, There’s no food in the library. Wynn: Um…Swigne? He said I have his Blessing…?